Christ. Christ is the dominate theme in my life. No, I am not a Christian or in any other way religious. I am the Antichrist. I am here to dispel the myth of who Christ was. If I were religious the notion that a woman gave birth to God would be blasphemy. Jesus was as ordinary a man as there ever was. How can I be so sure? A woman gave him birth. When we say that Jesus was any way other than the way we are, we insult Jesus as well as ourselves. If it were possible to insult God, obviously it is not, claiming that God was so taken with a woman that she became pregnant and bore God a child, well that would pretty much do it. The same logic applies to the sin of blasphemy. How could we possibly offend God? We only sin against ourselves. The story of Jesus Christ is meaningless if he is not who we are. The Christian doctrine has turned the story of this simple mans life into a cautionary tale. Complete with the implied threat of crucifixion or worse. See what happened to Jesus when he lived as he did. Only God can do as Jesus did. Step out of line and you will go to hell. A woman gives birth and a child is born. A child just as were you. The child Jesus grew into a man and made proof of our divine nature. It really is that simple. Why so much disrespect for Jesus, for ourselves? Why so little confidence in God? Just back from a couple of weeks vacationing. 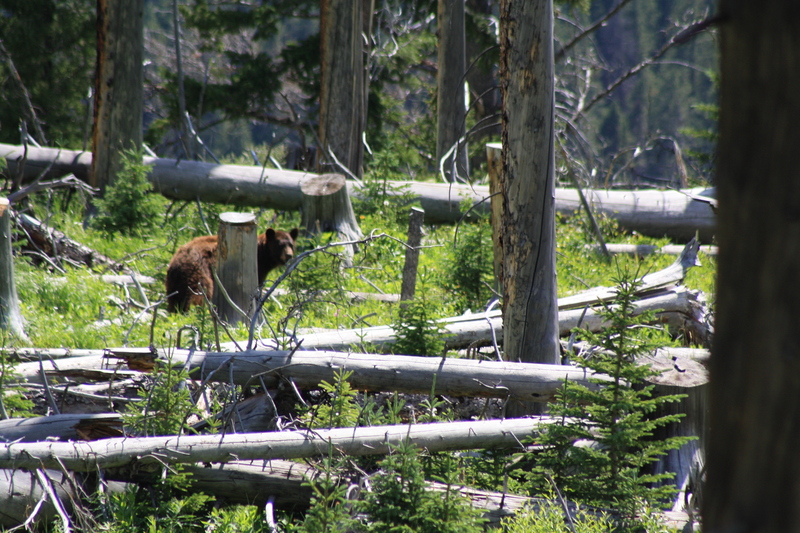 I had a great time visiting Yellowstone, Glacier and Grand Tetons National Parks. There was no time for writing and I had little to no internet service. I shall see if I have something to write today. The spiritual landscape of human relations contains the good, the bad, the beautiful and the ugly. All of our spiritual influences are found there. Much of what influences us spiritually is not true and confusion and fear are born of it. In a community there can be no escape from what comprises the content of the community and we find some way to accept the condition we find our self a part of. In this world of spiritual diversity angles are our guardians. The better our nature the more likely it is that our connection with their guardianship will be strong. It makes no difference what we think about matters spiritual, the fact of our spiritual condition is independent of that. What I am writing is my account of personal experience. When I find myself in a communal environment that is stressful it taxes my angelic associations. I have to choose to grow stronger associations with the angels or allow the strain to weaken them. Much like going through a storm except my spiritual health is entirely a matter of choice. As a comparison I will use some dry humor; The highway to hell is a two-way street… which way are you going?